Teaching your children the importance of properly using their backpacks is key to helping them avoid injury. Backpacks can affect your children’s spinal health. Carrying a heavy load that is unevenly or improperly distributed can result in poor posture and even distort the spinal column, throwing it out of alignment. This can cause muscle strain, headaches, back, neck and arm pain, and nerve damage. Pack properly. Make sure your children’s packs contain only what is needed for that day and that the weight is distributed evenly. The total weight of the filled pack should not exceed 10 to 15 per cent of the wearer’s body weight. Pack the heaviest objects close to the body, and place bumpy or odd shaped ones on the outside away from the back. Both shoulder straps should be used and adjusted so that the pack fits snugly against the body without dangling to the side. Backpacks should never be worn over just one shoulder. You should be able to slide your hand between the backpack and your child’s back. The waist strap should also be worn for added stability. 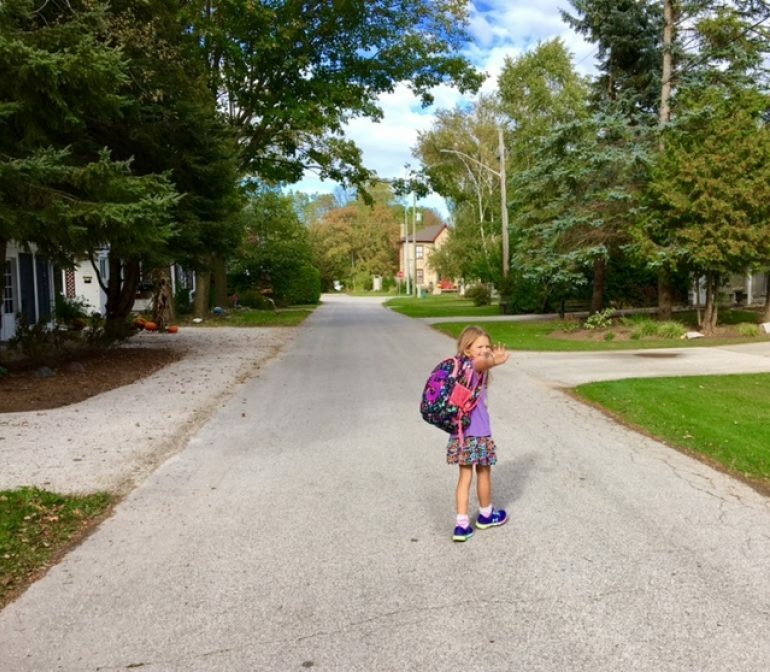 If you have any questions about backpacks and your children’s spinal health, please contact Sauble Beach Chiropractic.